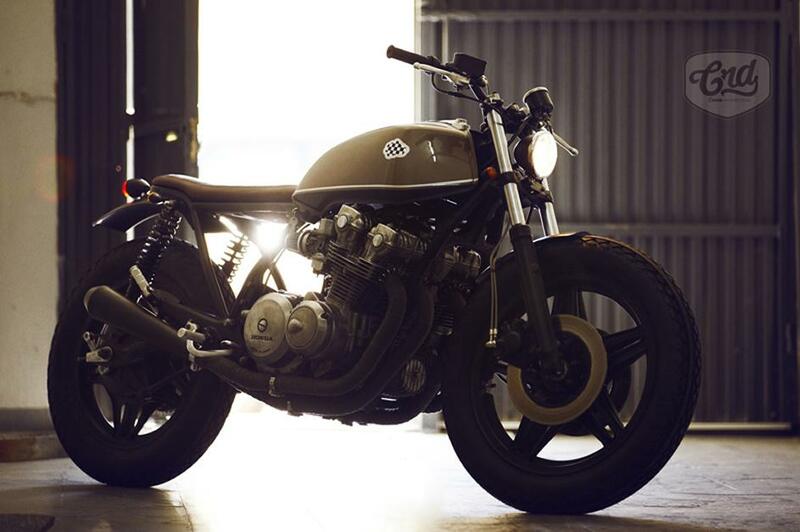 It was clear that after the success achieved with the trilogy of the first Hondas CB750kz composed by Cafe Racer Dreams# 1 # 2 and # 3 CRD5 Cafe Racer was going to have to be another Honda. 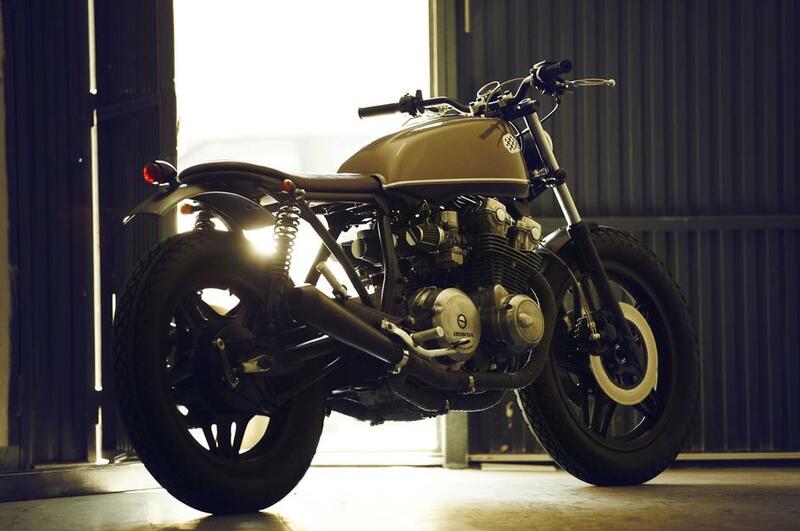 Roberto Rua, a very influential personality in the world of custom motorcycles, creator and organizer of Mula Fest and head of marketing for BMW Motorrad Spain, put his eye on Cafe Racer Dreams and its brief history. As for the colors, we look at the world of the classic automobile and thus we painted the gas tank in gold, the wheels in clack, the seat in natural leather and left the engine with its real patina with the passage of time. 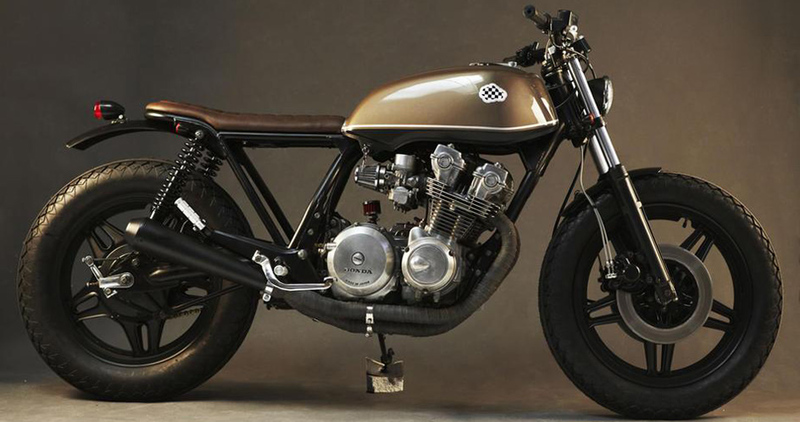 Perfect colors for such a Cafe Racer. It also has a handcrafted aluminum battery box, the ignition key is inserted in tank, the electrical system has been simplified and the “Choke” air control is also inserted in tank.